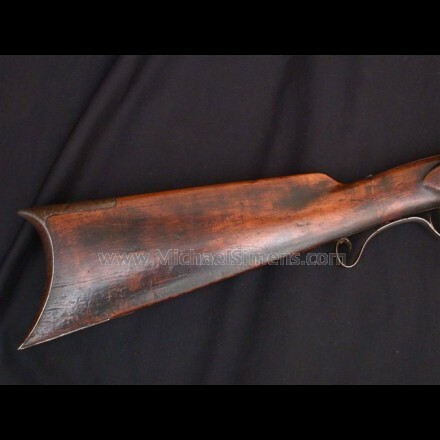 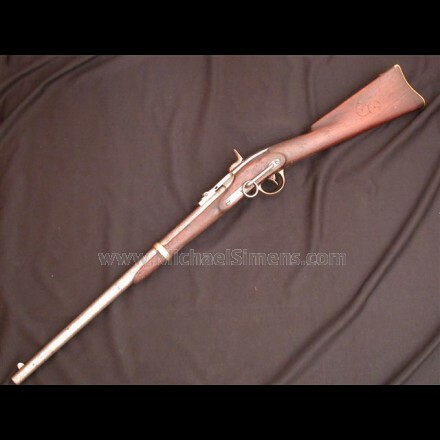 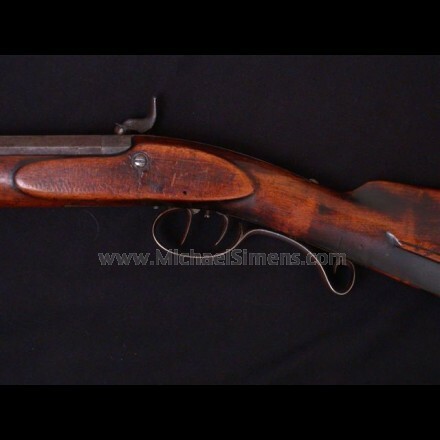 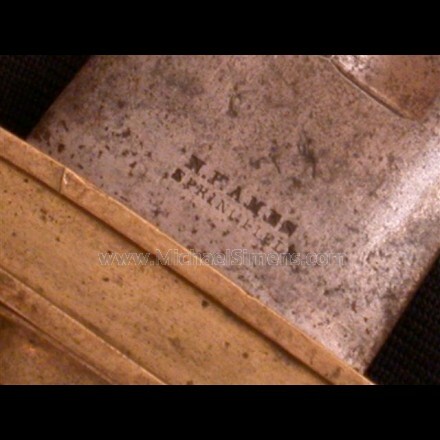 KENTUCKY RIFLE MADE BY H. M. C. & Co. 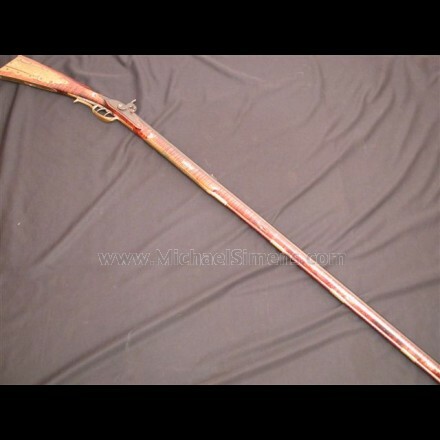 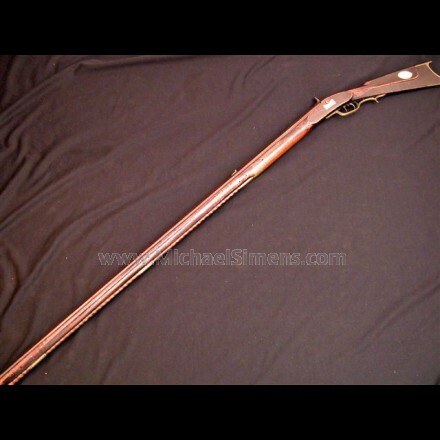 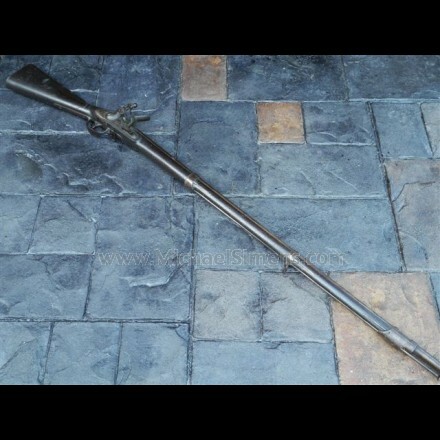 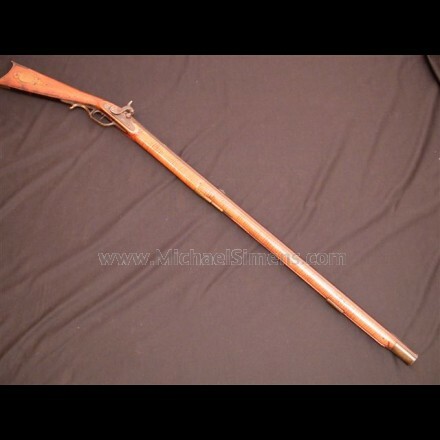 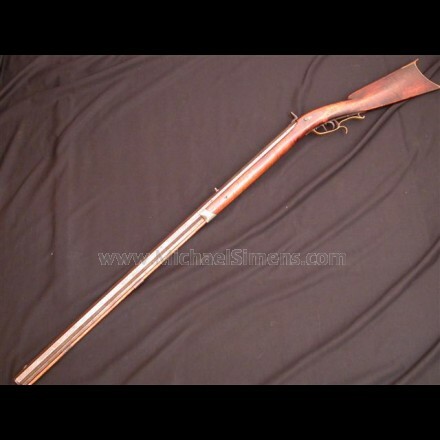 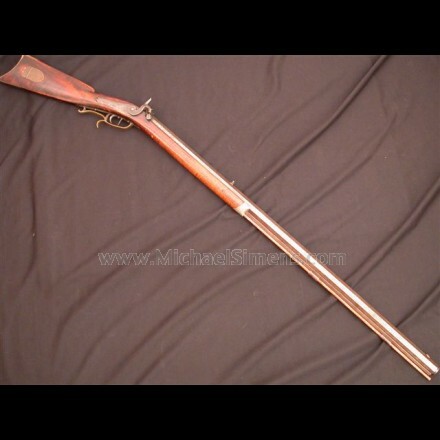 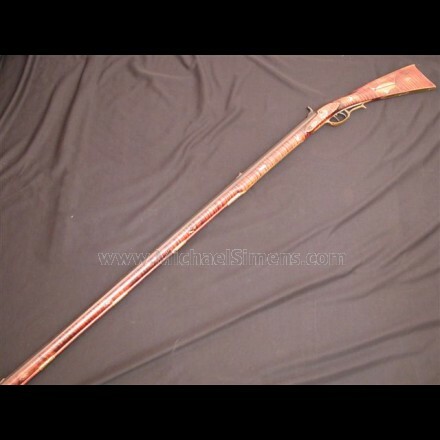 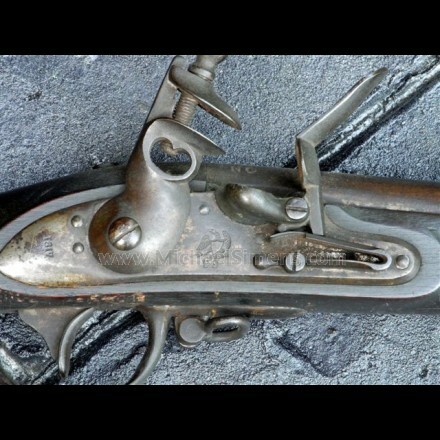 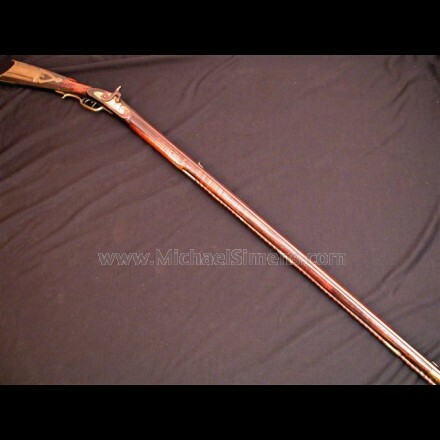 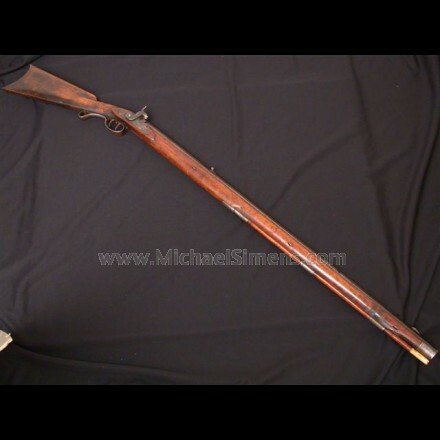 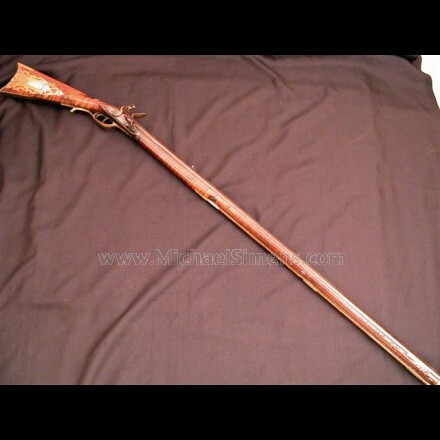 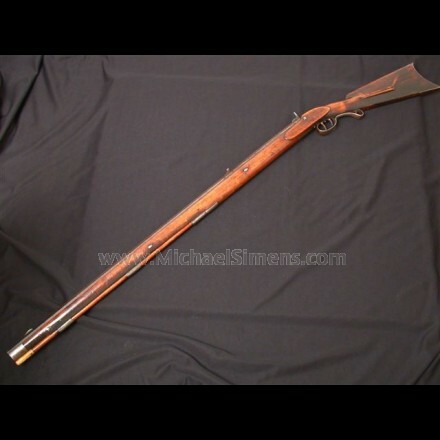 ANTIQUE KENTUCKY RIFLE, POSSIBLY FROM HUNTINGTON COUNTY, PA.
NORTH CAROLINA MARKED CONTRACT MUSKET DATED 1817. 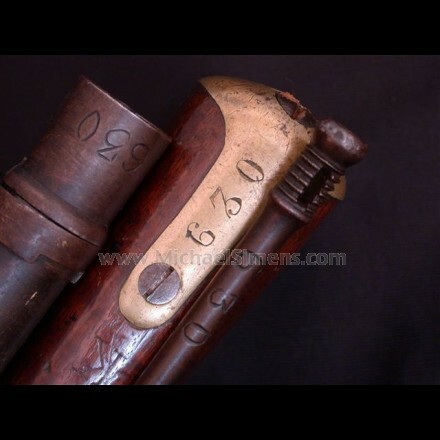 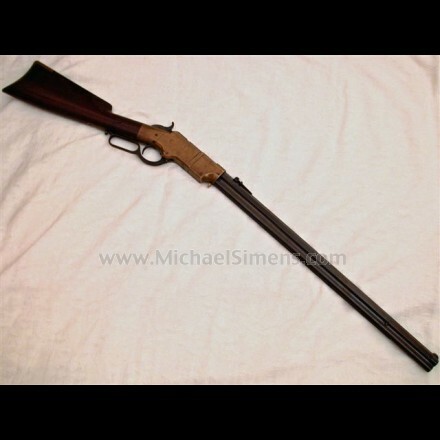 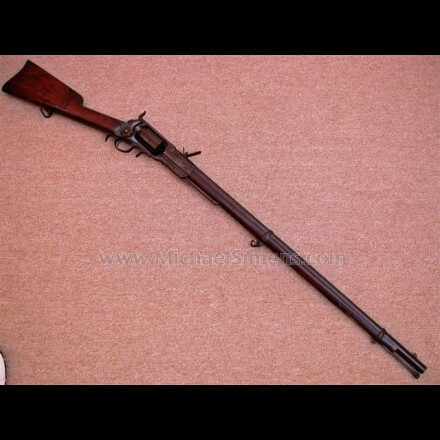 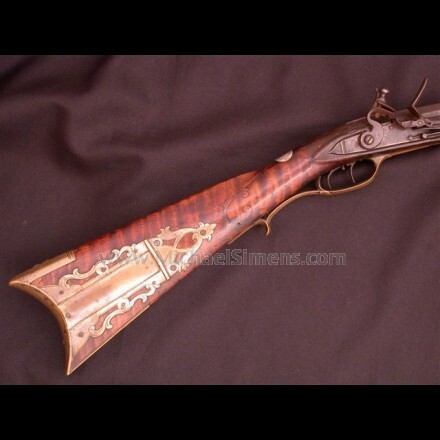 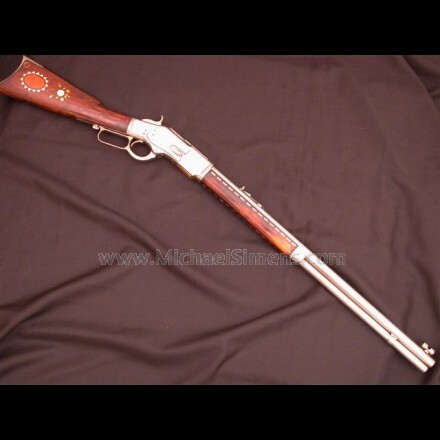 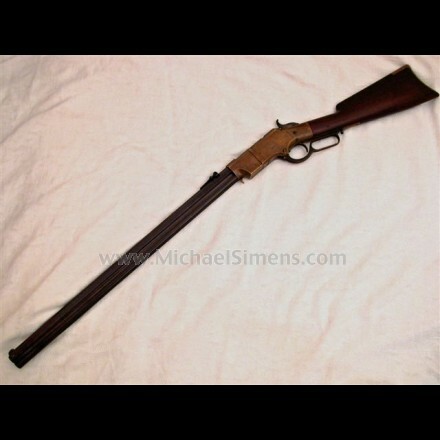 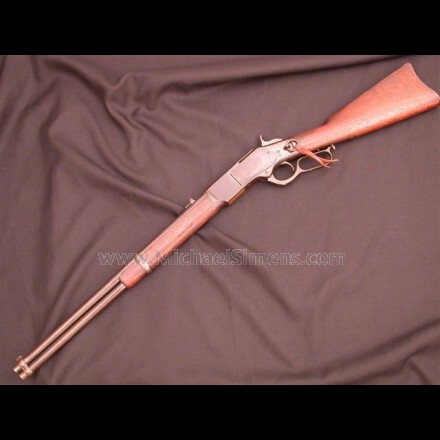 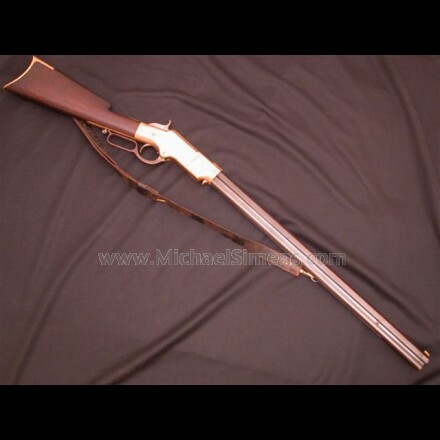 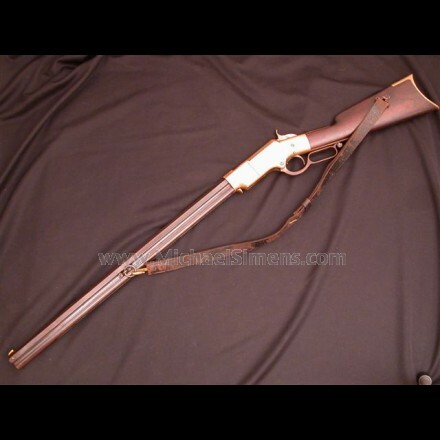 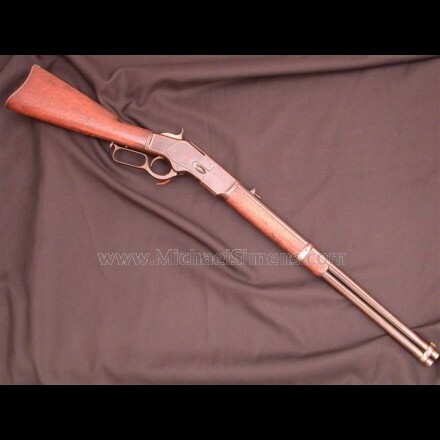 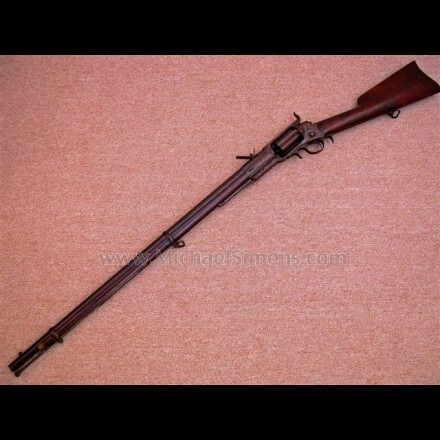 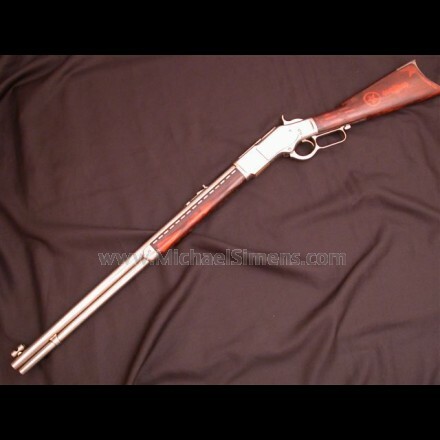 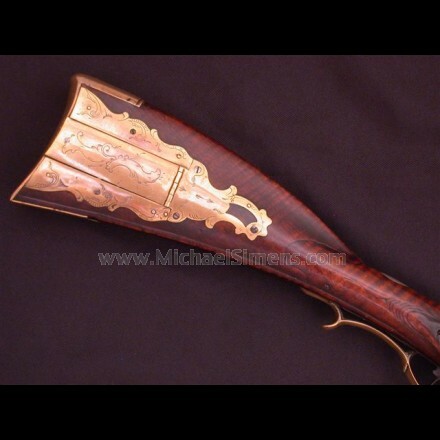 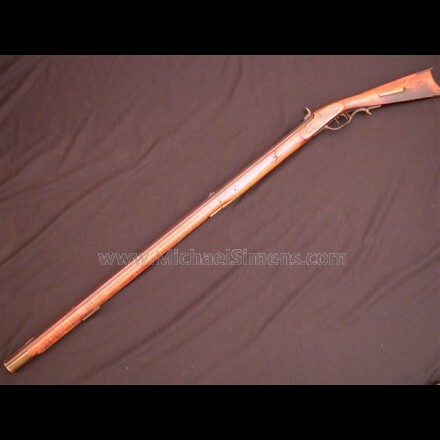 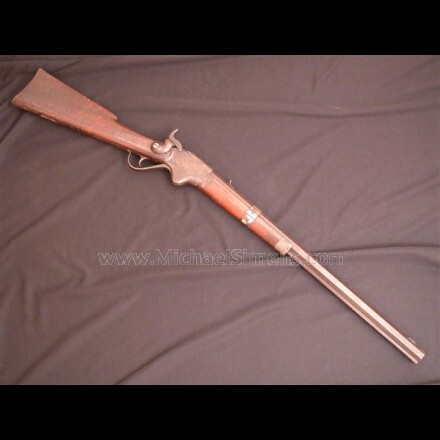 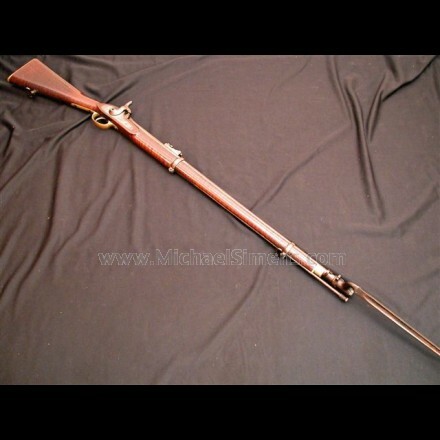 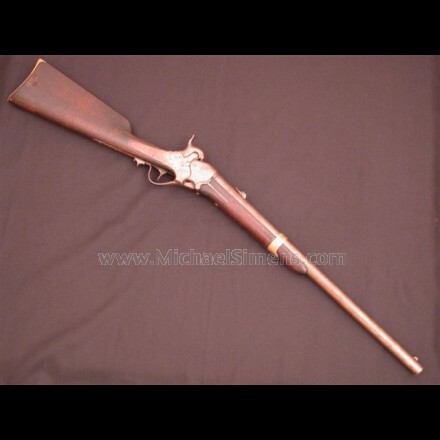 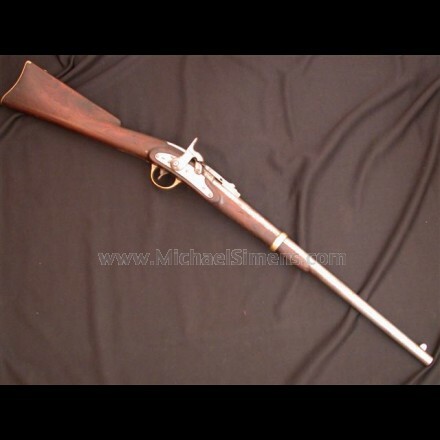 1866 Winchester Rifle with Henry marked barrel. 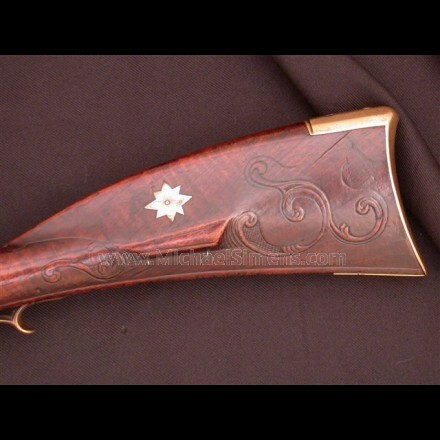 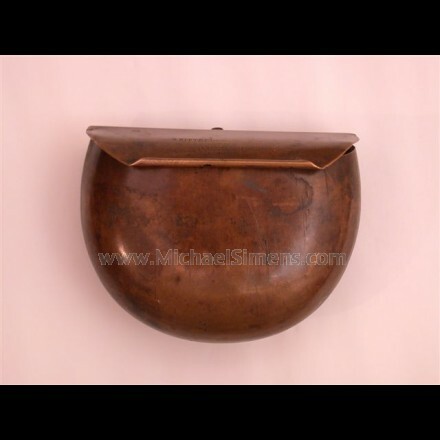 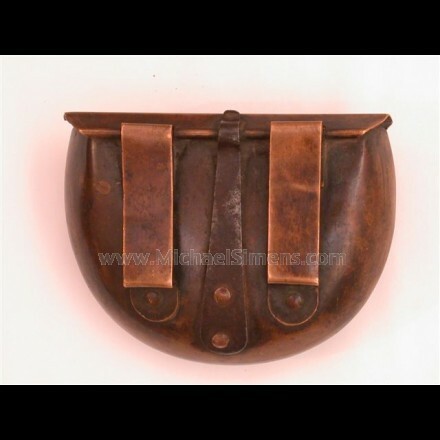 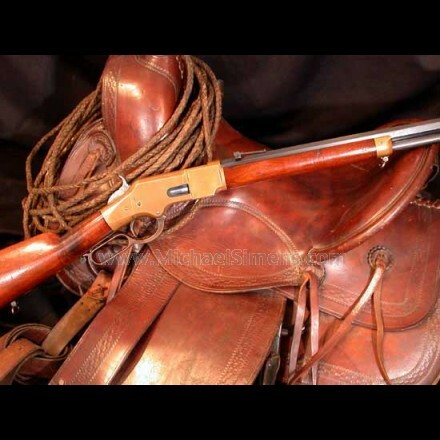 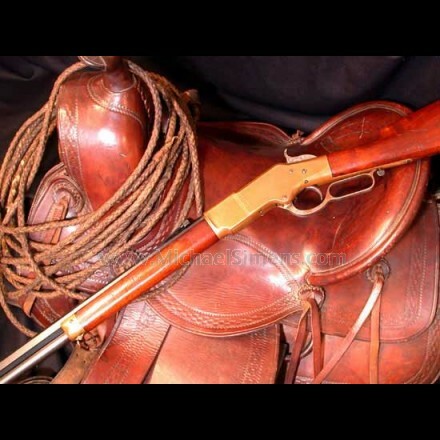 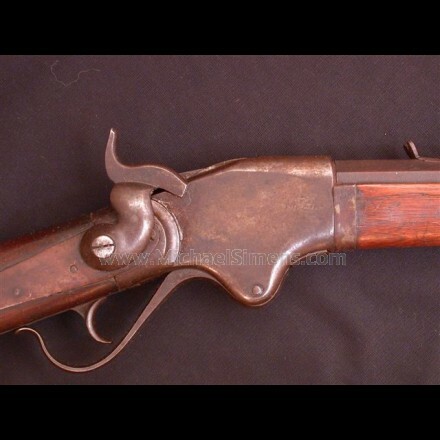 1873 WINCHESTER SADDLE-RING CARBINE, FIRST MODEL WITH THUMBPRINT DUST COVER.